The key to effective recruitment copywriting is to understand how clients and candidates interact in the jobs market – and what recruitment consultancies expect from their copywriter. Clients and candidates are opposite sides of the same coin, and this should be reflected in both the tone of voice and content of the copy that relates to each audience. Areas where Buzzwords can help recruitment agencies and their clients connect with the most suitable candidates include websites, advertisements, press releases and brochures. Recruitment consultancies looking to enthuse specific candidates will want to place certain services in front of them to support their ongoing job searches. This will include certain ‘How To…’ documents such as how to write a CV, how to prepare for an interview, how to behave in an interview and so on. A recruitment copywriter should have an instinctive empathy for writing this kind of material – equally as much as writing magnetic headlines for job ads or crystal-clear copy for websites and brochures. Online recruitment is very much to the fore nowadays so it’s important that copywriters have an appreciation of SEO (search engine optimisation) as well as the tools and techniques available to job seekers. These include social media sites such as LinkedIn, Facebook and Twitter, all of which multiply a job seeker’s chances of finding suitable vacancies. With a consultancy’s guidance, a recruitment copywriter should be able to paint aspirational word-pictures on behalf of clients who are recruiting across a variety of sectors. It also helps to understand the differing dynamics between permanent, contract and interim recruitment. Candidates looking to fill these posts will obviously be persuaded by copy that chimes with their needs. 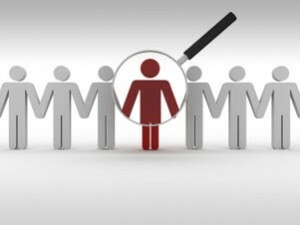 This plays a crucial role in attracting candidates with the appropriate skills, experience and qualifications. If the copy doesn’t appeal to its target audience, then clearly much time, effort and expense will have been wasted. 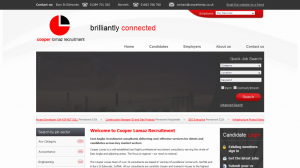 This large website used Buzzwords’ copywriting skills to highlight the consultancy’s expertise across key recruitment services and sectors. If you’re looking for an experienced recruitment copywriter, contact Mike Beeson at Buzzwords today to discuss your next project. Packages are available that include copywriting, design and print, as well as website design and development. Tel: 01457 764050 or click here to send an email.